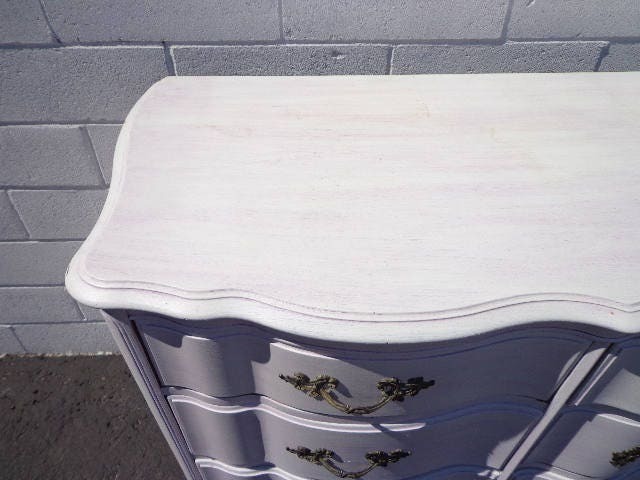 Absolutely stunning and beautiful French Provincial dresser. 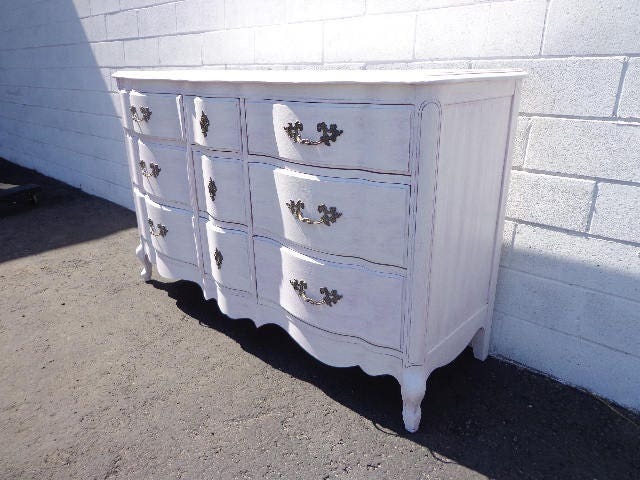 Features 9 dovetail drawers and pretty decorative hardware. 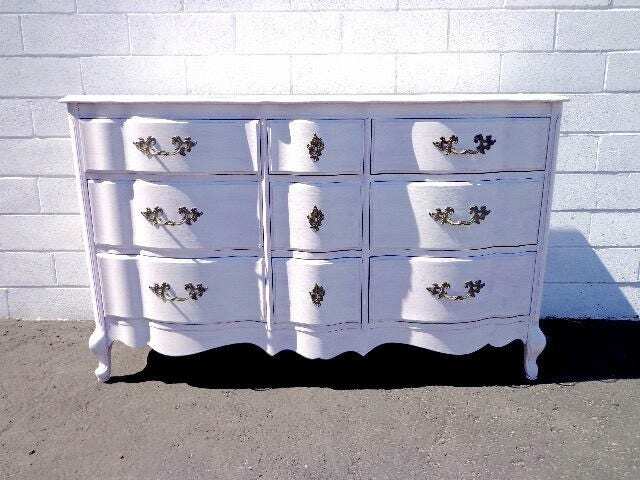 A definite focal piece for any room and could be used as a bedroom dresser , media console, changing table , buffet / console , entry way or anywhere. Overall good vintage condition and extremely solid. Shows surface wear from age and use. 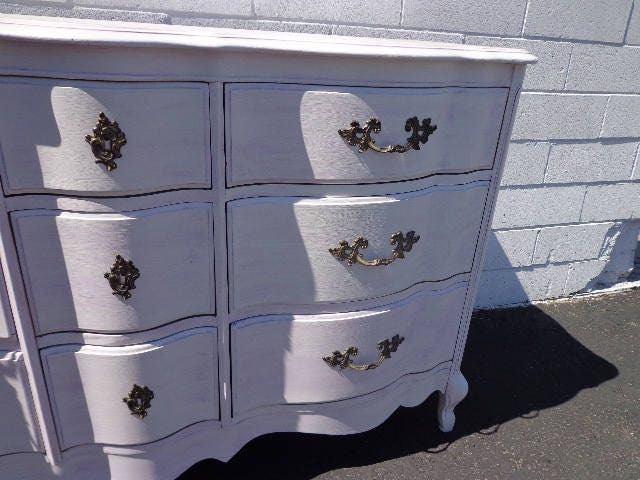 This piece was has a distressed finish. 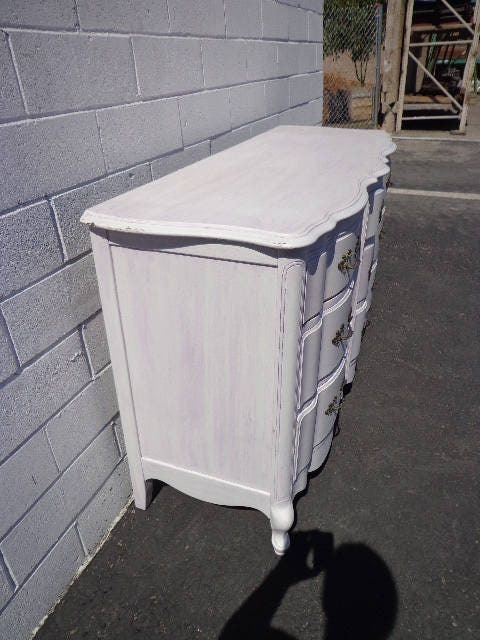 Ideal piece to refinish and paint for a whole new look. Dimensions: 58 1/2" x 21 3/4" x 35 1/2"